When you look in the mirror, does your forehead appear large than it used to? Have you spent months or years watching your hairline recede like the ocean at low tide? For many people who are in the early stages of hair loss, a diminishing hairline is a first and most noticeable sign that there is a problem. After all, you have to make an effort to see a growing bald spot on top of your head, but your receding hairline is right there in front of you every time you see your reflection. It’s also right there in front of everyone who sees you. You may have already tried growing your hair longer or styling it differently to enhance your hairline, but that won’t fix the issue or keep it from getting worse. If you want to restore the hairline you once had, hair transplant surgery is a great way to create a natural-looking hairline. At the Hair Transplant Institute of Miami, we take great pride in the skill and artistry we bring to hairline restoration. Dr. Bernard Nusbaum and Dr. Paul Rose are world-renowned leaders in the field of hair transplant surgery. Using the most advanced technology and techniques, they have created hairlines that have improved the appearance and self-confidence of thousands of patients. We use two primary techniques to restore hairlines, both of which accomplish the goal of a full and natural look while making it undetectable that you’ve had any surgery. Follicular Unit Extraction (FUE) is a minimally invasive method of transplanting individual hair follicles into the hairline area. Using the advanced ARTAS system, we restore your hairline by transplanting permanent hair from the back or side of the head. The precision of the ARTAS system is particularly suited to hairline restoration. It digitally scans the scalp, identifying hair in its natural groupings. Selected follicles are then precisely removed, using the ARTAS system’s image-guided robotics. Most of your hair is left untouched so that the area retains its natural appearance. We then transplant the hairs near the hairline, where they will grow naturally on the hairline just as they did before. At the Hair Transplant Institute of Miami, our surgeons plated a critical role development of a significant advancement in hairline restoration and treating other hair loss issues: Mosaic® Hair Restoration. The Mosaic procedure involves designing the hairline area in an individualized manner, mimicking your unique follicular unit arrangement pattern. This approach ensures a personalized follicular pattern, so you receive the most natural hairline appearance. Our surgeons will obtain several magnified images of your scalp in areas unaffected by the balding process. We analyze the photos to tabulate the percentages of one, two or three hair follicular units and determine their topographical arrangement unique to you. We then use this data to create a personalized, natural hairline. If you are ready to take action and restore your receding hairline, please schedule a personally tailored hairline evaluation at the Hair Transplant Institute of Miami. Our doctors are specialists in creating natural hairlines and have written ground-breaking papers for peer-reviewed journals on the subject. To receive a personalized hairline evaluation and treatment plan, contact us online or call our office directly at 305-925-0222. Hairlines and Heart Health: Is Hair Loss a Sign of Heart Disease? Physicians now warn patients to be increasingly wary of the signs of aging. The notion that people “look old because they’re getting old” is misguided, and a new study conducted by the University of Copenhagen in Denmark has found several ties between visible signs of aging and heart disease. The new findings were presented to more than 17,000 health professionals at Scientific Sessions 2012, the American Heart Association’s largest gathering of scientists and healthcare professionals devoted to the study of cardiovascular health. Anne Tybjaerg-Hansen, senior study author for the University’s research initiative, warns that the study “shows that aging signs may mark poor cardiovascular health and therefore validates the prognostic importance of a very simple clinical exam,” (i). The study also indicated that individuals with at least 3 out of the 4 signs above were at the greatest risk. Of those studied, participants who exhibited at least 3 of the above signs of aging had a 57 percent greater risk of suffering from a heart attack. Moreover, risk of heart disease was 39 percent greater for individuals with at least 3 of the above characteristics. 7,537 participants had a receding hairline at the onset of the study. 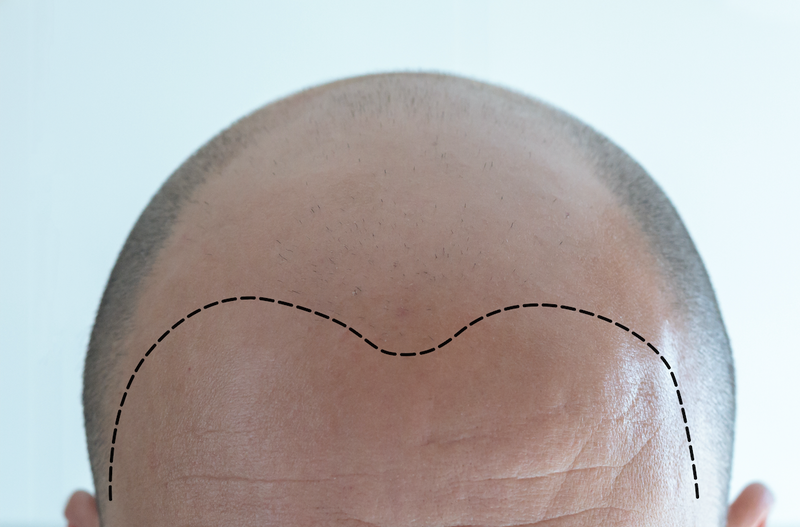 3,938 participants exhibited thin / bald areas at the crown of the head at the onset of the study. 3,405 showed crease in the earlobes. 678 had xanthelasmata, or fatty deposits surrounding the eyelids, often yellow in color. Not surprisingly, over 30% of the individuals who participated in the study exhibited earlobe creases, a trait that has long been correlated with increased risk of heart attack and cardiovascular disease (ii). It is important to note, however, that creases in the earlobes have never been labeled a cause for heart issues. Creases are more common among older men and women who may suffer with heart disease, along with many other illnesses, for a variety of different reasons. What did surprise researchers, however, was the vast population of participants who exhibited signs of hair loss. With 7,537 showing signs of hairline recession and 3,938 showing thinning or balding at the crown of the head, the prevalence of hair loss among those with a greater risk of developing a heart condition is striking. Like the correlation between earlobe creases and heart disease, however, there is no substantial evidence to show that hair loss causes heart disease. Demonstrating causation between hair loss and heart health, according to Ms. Tybjaerg-Hansen, will require additional follow-up studies. This health report has been produced by the Hair Transplant Institute of Miami. For additional information on our Institute, including hair loss evaluation and consultation services, please contact our office directly at 1-877-443-9070. (i) Ostrow, Nicole. 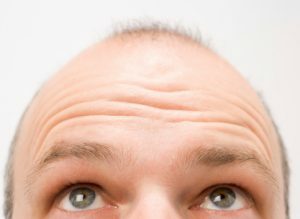 Receding Hairline Among the Signs of Heart Disease Risk. Accessed November 10, 2012. (ii) Medline Plus. Earlobe Creases. Accessed November 10th, 2012.